All what's best for Our Guests in price of one package. All inclusive package - comfort for each day of stay! • dinner, supper: tea, coffee, juices, beer, water. Each day additionally: theme food and drinks during parties. 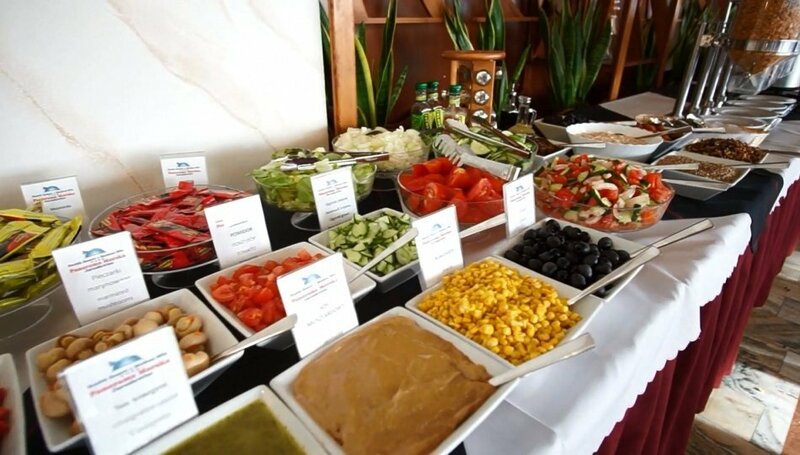 The Health Resort & Medical SPA Panorama Morska in Jarosławiec is a mecca of the impeccable cuisine! You will find here 3 stylish restaurants and food stands where everyone shall certainely find something for themselves. Located in the heart of our resort. 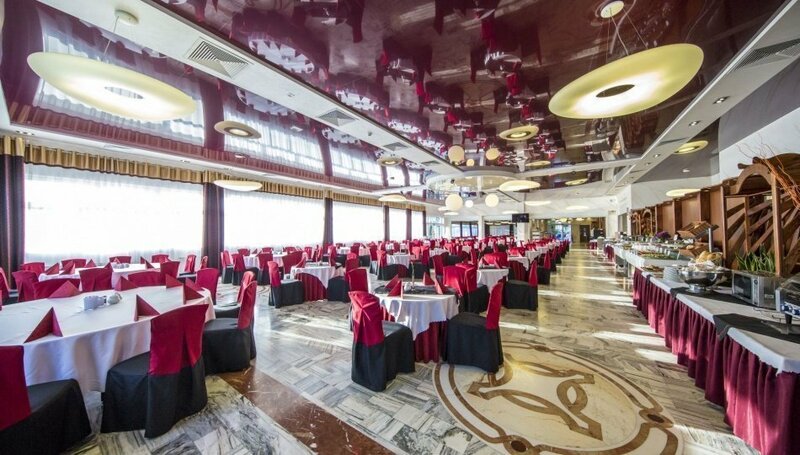 A grand space, divided into four sections, offering as many as 300 seating places.We serve here home meals and world cuisine in the buffet form. In the center of the Aquapark, with an unique interior and terrace. Here you will eat delicious breakfasts, dinners and suppers, drink coffee or you will be tempted by a colorful drink or a delicious dessert. The restaurant seats 250 people in the restaurant room, and on the observation deck - 80. The tropical scenery of the Aquapark restaurant shall make the a la carte dishes even more exotc! And the fancy drinks togeter with the sweet sundaes will complement the offer. We also organise special theme parties here, even for 500 people simultaneously. Open in the summer season on the Aquapark premises. You can buy here fast foods and cold drinks or sweet waffles, ice cream and pancakes, if you're craving for some sweets at the moment.